In order to avoid the potential for these and other such problems, a business owner or office manager should ensure that the following seven pieces of office equipment are in place. Most of these items involve the creation or handling of office documents, and all contribute to a well-oiled machine. In order to run a successful business, one first and foremost must hire the right people; however, those employees must also have the right tools, supplies, and equipment at their disposal in order to do their job efficiently. 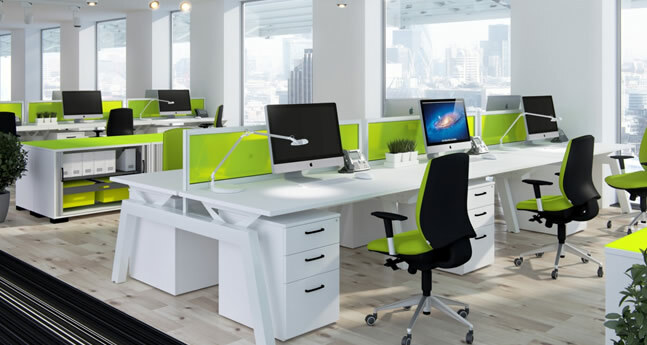 Modern, high-quality office equipmentmakes a huge difference in the productivity of a team as well as how the company is perceived by its customers and the general public. For example, an organization that continues to send out typewritten envelopes may come across as being archaic, and this could affect business. Sloppily printed documents and even a chaotic reception area are some of the other results of not having good office equipment in place. One piece of equipment that may not seem essential to many people is the dictation machine. Although speech recognition software continues to evolve, it is not without pitfalls. Executives who need to draft letters, memos, and reports are best off dictating the copy and recording it, since speaking is much faster than writing and can be done while performing other tasks. The type of equipment chosen depends on the preferences of the dictators, number of users, frequency of use, and budget. Some dictation equipment uses cassette tapes, while more modern versions record digitally and even use a phone system for recording. However the audio is recorded, this file is then processed by another employee, who transcribes the audio into a written document and saves, emails, or prints it. 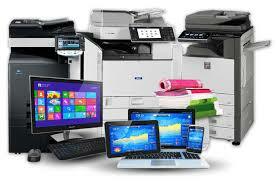 Any office that runs even one PC needs a printer to create hard copies of electronic documents and files. Despite the promises of paperless offices in the future, that era has not yet arrived. All sorts of business documentation needs to be printed, whether the business is a product- or service-oriented industry. Examples of common office documents include invoices, packing slips, flyers, and letters. 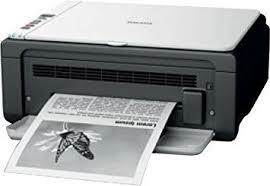 Printers can be used not just to generate transfer electronic files to paper but also to create composite documents containing digital information and scanned images. 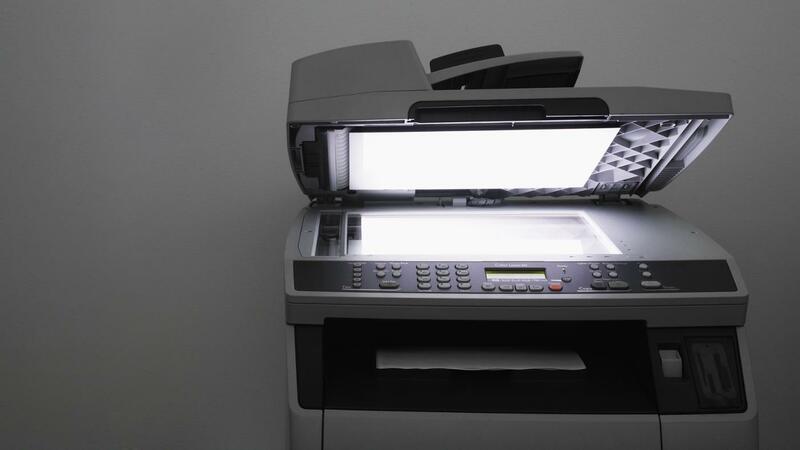 While the fax machine was once considered an indispensable piece of office equipment, electronic copies of just about any document are now possible with the help of a scanner. A scanner copies an image of papers that were not created electronically and converts them into digital images so that they can be stored on a computer or emailed. Examples of items that might need to be scanned include photographs, pages from print publications, cash register receipts, drawings, and forms that have been filled out by hand. Even a letter that was created in a computer software program might have been received in hard copy and so would need to be scanned into a storage system if the digital file was not available. Before the invention of the scanner, the best that could be done with miscellaneous materials was to photocopy and file them, a practice which is still followed today in some places. It is difficult to imagine, but there was once a time not too long ago when the only way to make a copy of a document was to replicate it by hand, either by typing it again or actually rewriting it. Offices used to employ special clerks called scribes or scriveners to perform this task. Even though the printing press was popularized in the West as early as the 15th century by Johannes Gutenberg, such presses were not always practicable for everyday office use. Some offices did purchase small printing presses when their business required multiple copies of documents; other firms simply outsourced these tasks to a larger printing press. Eventually, a variety of copying options came into practice, such as letter copying presses, copy pads and books, and roller copiers. Later developments included carbon paper, mimeographs, and the Ditto machine. Eventually, xerography technology ("dry writing") was perfected and led to the development of the copiers with which modern consumers are familiar. The first photocopiers produced black and white images, and these are still useful for many basic copying purposes. The choice of whether or not a color copier is needed is up to the office manager or business owner and depends on the types of documents that are copied regularly. Some businesses keep only a black and white copier on hand and send color copies out to an offsite print shop, but color technology is becoming more and more affordable, particularly with the introduction of combination copier/printer/scanner units. 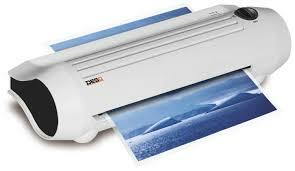 Laminating machines are generally underutilized in most offices. When someone has gone to the trouble to print or copy a document, that document can be preserved by heat-sealing two thin layers of clear plastic over each side. A piece of paper is inserted into a laminating sheet, which is generally is twice the size of a standard document but then folded in half. Enough of a margin remains on all sides of the document so that the plastic melts to itself and creates a permanent seal. The document and plastic are inserted into a special laminating sleeve that enables the document to pass through the machine smoothly and keeps the melted plastic from getting stuck between the hot rollers. Once an office obtains a laminator, the personnel may come up with many more creative uses for this equipment. 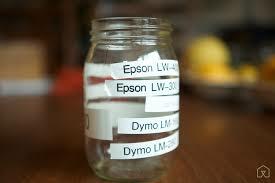 Office personnel still tend to perpetuate the habit of printing out full sheets of paper for certain purposes; most of these tasks can easily be done with a label maker instead. While there is some cost involved in replacing the tape cartridges used in label makers, the amount of paper saved is worth it. In a world where identity theft runs rampant, one of the most important pieces of equipment for any office to own is, ironically, the one that destroys all of the documents that the employees work so hard to produce. Tearing papers into bits by hand is not only time-consuming and tiring but is not always as effective as it needs to be. Paper shredders cut a sheet of paper into so many pieces that it is extremely difficult or even impossible to put them back together and recover the lost information. A shredder is a necessity in any business where confidentiality is a legal requirement, such as law, medicine, and education. Of course, any office that has employees keeps documentation on human resources, and much of this information is confidential as well. Shredders range from inexpensive units that fit over a wastebasket to large, heavy-duty machines that can destroy several pages at once; every office supply buyer needs to consider the needs of the office and take them into account when making a decision on which type of shredder to buy. The more rugged shredders can handle stapled papers and can also shred plastic credit cards and other such cards with identifying information on them.